Our home was built in 1978. 2006, a new roof was installed. 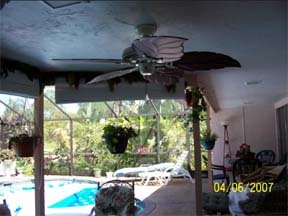 Hurricane Wilma caused a some damage. 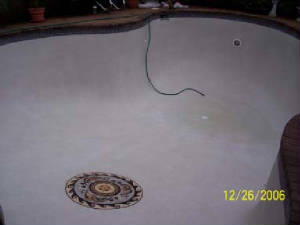 Our pool was renovated. John remodled our kitchen. This has been the year of wonderful upgrades to our home. 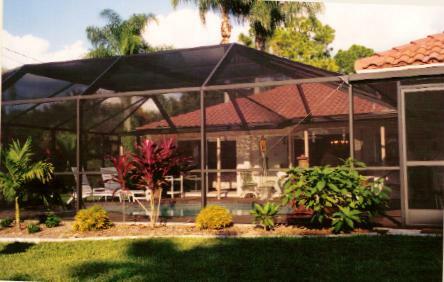 The mansard cage area includes the pool which is under the cage,, and the covered patio which can barely be made out in the arches. 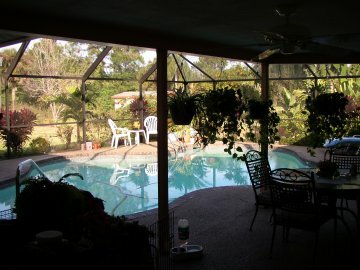 Beyond the arches are patio doors off the master bedroom,dinningroom, family room, and johns office which all lead out to this area,, the house is L shaped, with 2 airconditioners. so the L of the house, which has the office and 3 bedrooms and 1 bath dont have to be cooled unless we are using them. A good feature down in this area. John and his son Mark for the work in the lanai and kitchen, God bless them both. 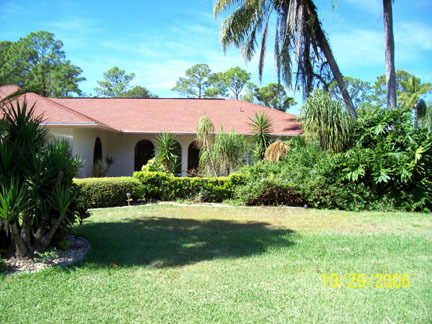 Colonial Roofing of Fort Myers will be installing a new roof 2006. 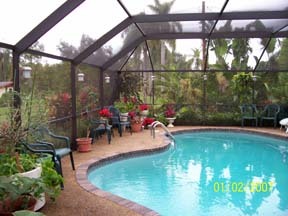 Pool renovation was completed by Burtz Pools of Cape Coral , owner Danny Butz. I would highly recommend them. They did an excellent job over the Christmas holiday. Here we might include a Mind-It Web Gem so that friends receive an e-mail notification whenever we update this page.